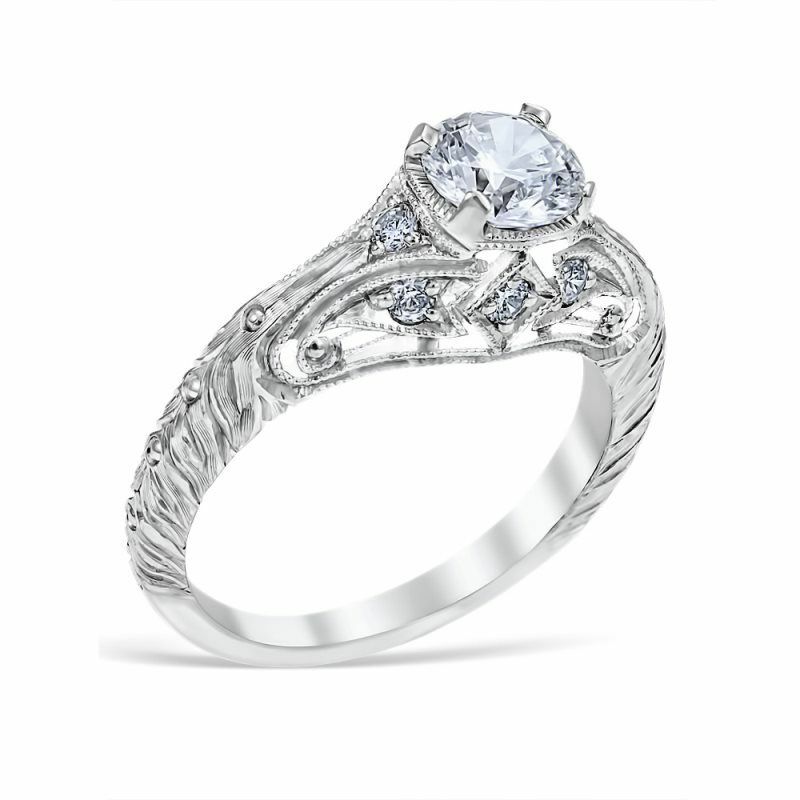 For the one you vow to love a lifetime, you need a unique engagement ring that symbolizes the depth of this commitment. 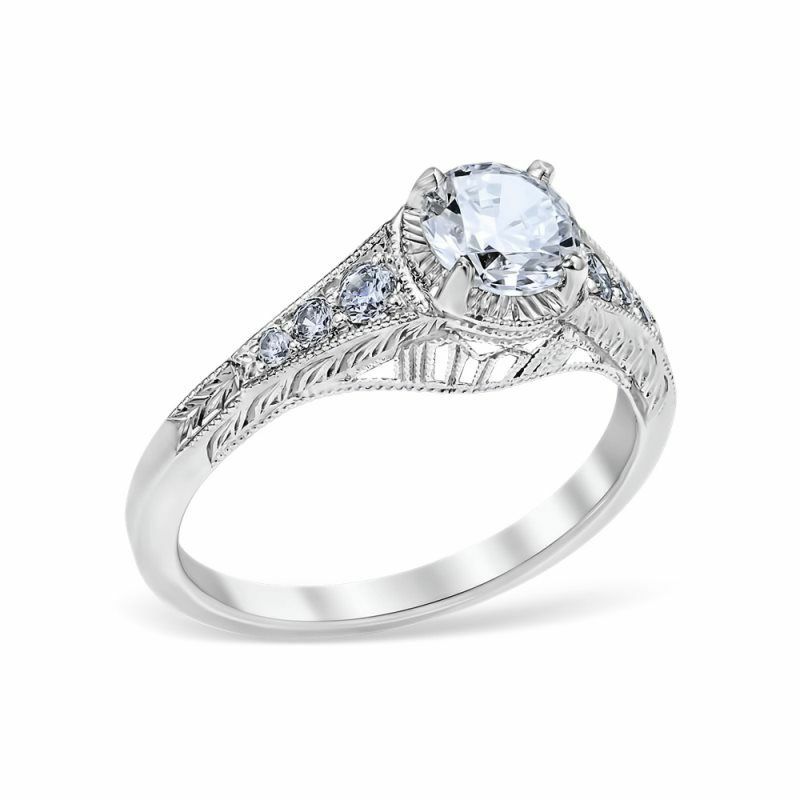 Hand-crafted in the United States, our timeless vintage style engagement rings will delight any bride-to-be. 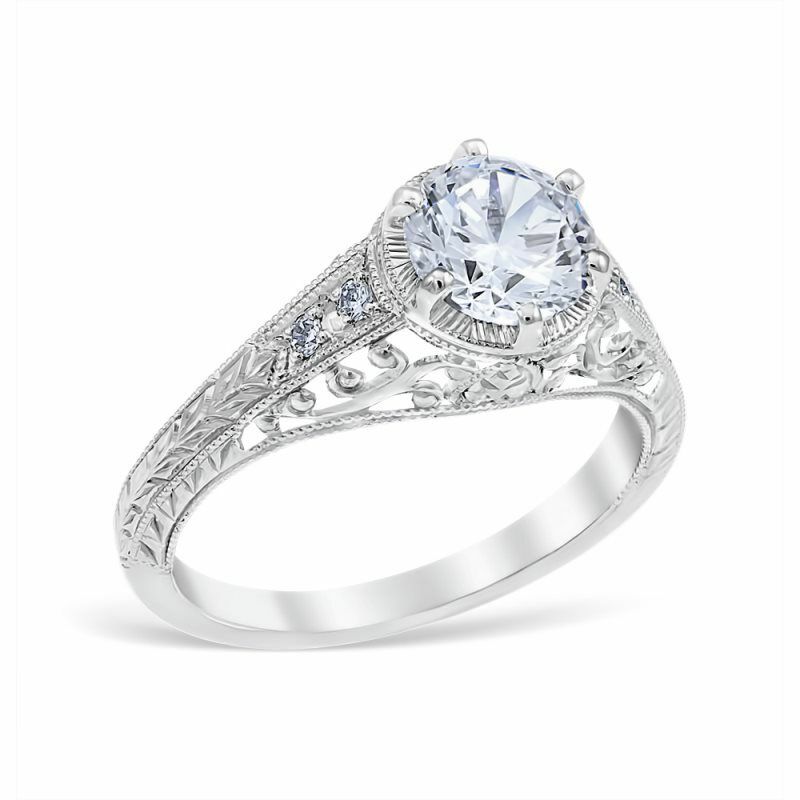 Each Whitehouse Brothers ring features a delicate Edwardian design exuding elegance and antique sophistication that is unlike any other engagement ring. 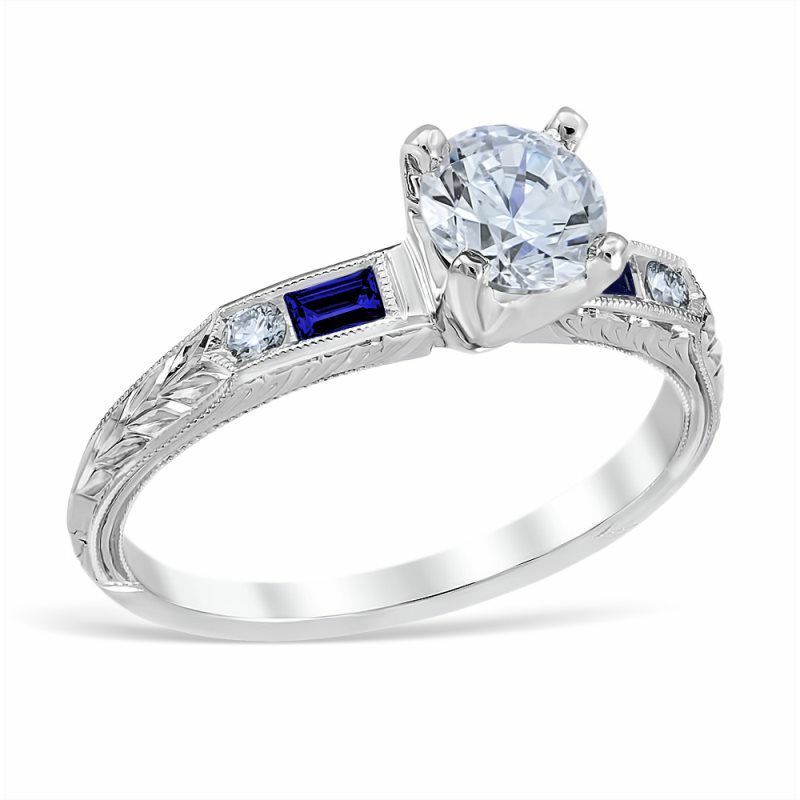 Our engagement rings can be custom ordered to adjust the center diamond setting, size of the ring, and choice of metal. 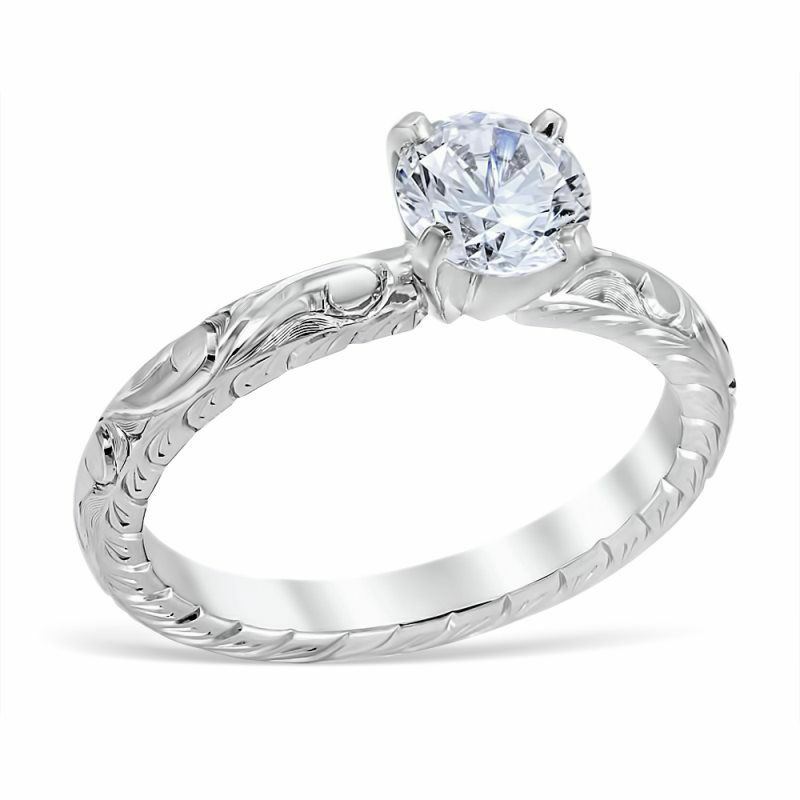 Give more than just an engagement ring; give beauty that will last for generations to come. Lucia engagement ring showcasing 2 channel set baguette shape Sapphires, and 2 channel set round diamonds, finished with beautifully hand cut engraving. 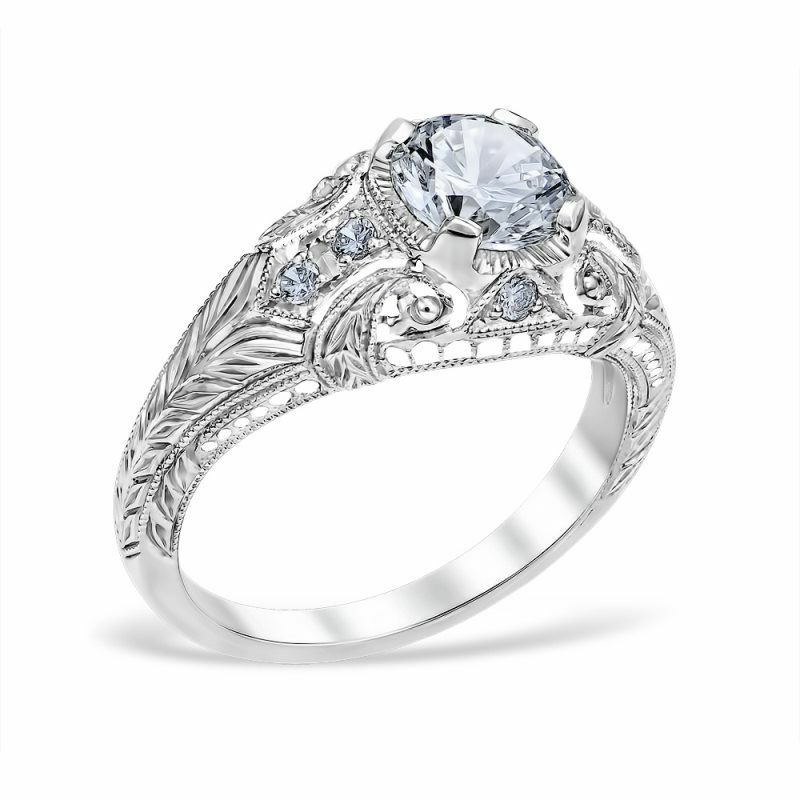 Romanesque Arcade engagement ring featuring delicate filigree arches and a hand engraved scroll and wheat pattern designs. 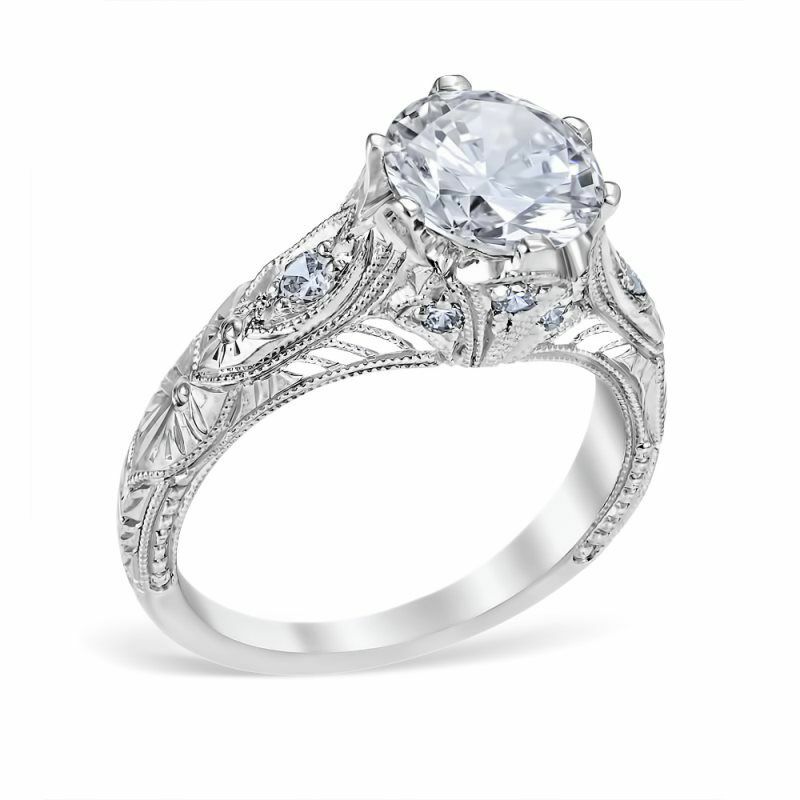 Venetian Crown vintage engagement ring featuring a fan of flower petals set with diamonds and fine wire filigree accents. Center Diamond Carat Range: 0.50-3.00ct. 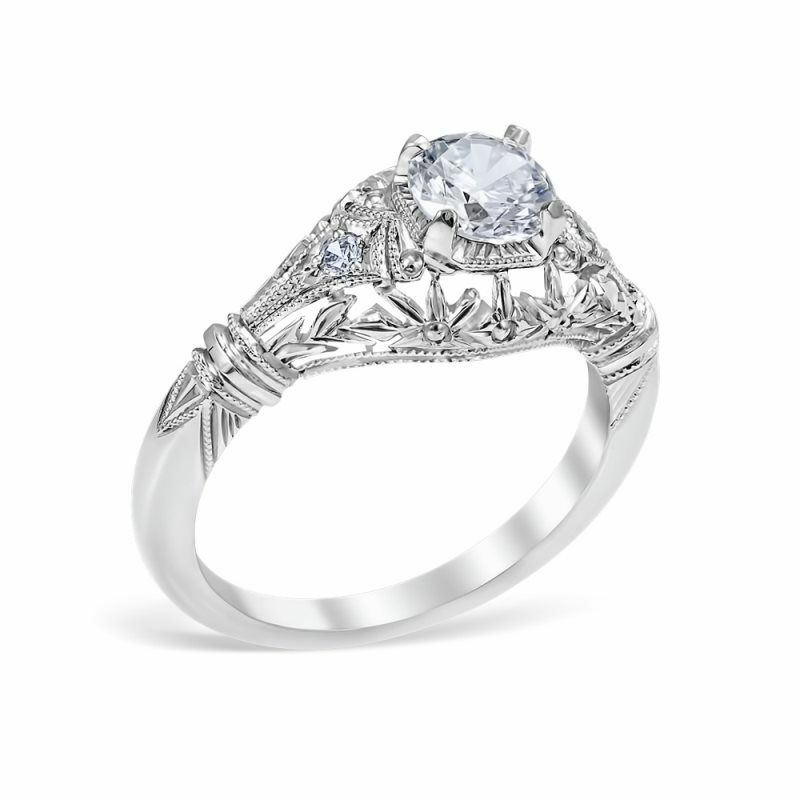 Palisades antique style engagement ring featuring vertical lace bars and tapered diamonds set in each shoulder. Center Diamond Carat Range: 0.40-1.00ct.